A different look at 1880s London from my usual. In early August 1889, Cesar Ritz, a Swiss hotelier highly regarded for his exquisite taste, found himself at the Savoy Hotel in London. He had come at the request of Richard D’Oyly Carte, the financier of Gilbert & Sullivan’s comic operas, who had modernized theater and was now looking to create the world’s best hotel. 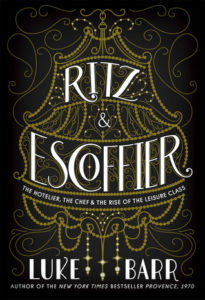 D’Oyly Carte soon seduced Ritz to move to London with his team, which included Auguste Escoffier, the chef de cuisine known for his elevated, original dishes. The result was a hotel and restaurant like no one had ever experienced, run in often mysterious and always extravagant ways–which created quite a scandal once exposed. 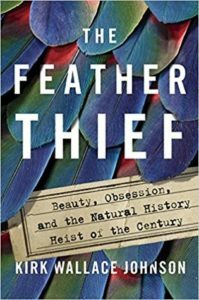 If you’ve been following my TBR pruning posts, you are not at all surprised to see a new memoir having to do with neuroscience. 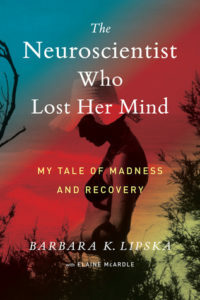 Lipska describes her extraordinary ordeal and its lessons about the mind and brain. She explains how mental illness, brain injury, and age can change our behavior, personality, cognition, and memory. She tells what it is like to experience these changes firsthand. And she reveals what parts of us remain, even when so much else is gone. 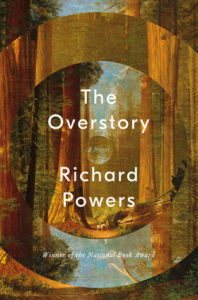 In his twelfth novel, National Book Award winner Richard Powers delivers a sweeping, impassioned novel of activism and resistance that is also a stunning evocation of—and paean to—the natural world. From the roots to the crown and back to the seeds, The Overstory unfolds in concentric rings of interlocking fables that range from antebellum New York to the late twentieth-century Timber Wars of the Pacific Northwest and beyond, exploring the essential conflict on this planet: the one taking place between humans and nonhumans. There is a world alongside ours—vast, slow, interconnected, resourceful, magnificently inventive, and almost invisible to us. This is the story of a handful of people who learn how to see that world and who are drawn up into its unfolding catastrophe. 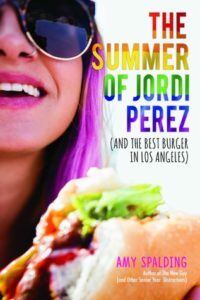 Contemporary queer teen romance set in Los Angeles – I am here for it. Seventeen, fashion-obsessed, and gay, Abby Ives has always been content playing the sidekick in other people’s lives. While her friends and sister have plunged headfirst into the world of dating and romances, Abby has stayed focused on her plus-size style blog and her dreams of taking the fashion industry by storm. When she lands a prized internship at her favorite local boutique, she’s thrilled to take her first step into her dream career. She doesn’t expect to fall for her fellow intern, Jordi Perez. Middle school can be rough on friendships. And that’s without discovering that your pillow fort is connected to a secret, globe-spanning network. Six. Weeks. That’s how long Maggie’s been waiting for her best friend and partner in crime, Abby, to come home from Camp Cantaloupe. Half of summer break may have been lost, but Abby is finally heading back! But at least Abby’s excited to build a “cabin” of her own. 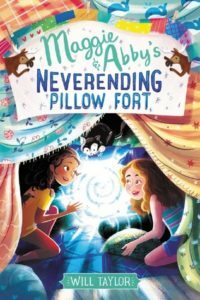 And when Maggie discovers that a pillow in the back of her fort mysteriously leads right into Abby’s new one, the two friends are suddenly just an arm’s length away. Soon they’re adding links and building more forts, until Maggie looks behind one pillow too many and finders herself face-to-face with. . . the authorities. 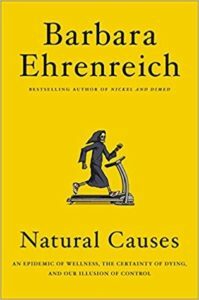 I don’t think I’ve read any Ehrenreich yet. 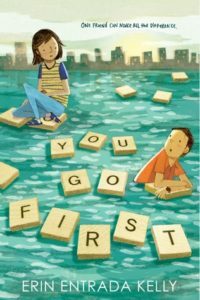 A new book from the most recent Newbery medalist. 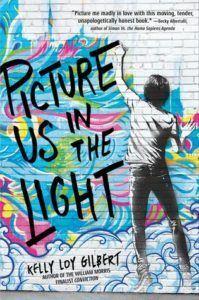 Twelve-year-old Charlotte Lockard and eleven-year-old Ben Boxer are separated by more than a thousand miles. On the surface, their lives seem vastly different—Charlotte lives near Philadelphia, Pennsylvania, while Ben is in the small town of Lanester, Louisiana. Charlotte wants to be a geologist and keeps a rock collection in her room. Ben is obsessed with Harry Potter, presidential history, and recycling. But the two have more in common than they think. They’re both highly gifted. They’re both experiencing family turmoil. And they both sit alone at lunch. 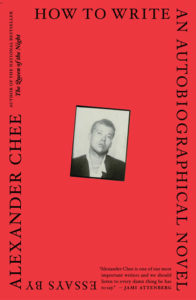 I think this is another contender for my “true crime” Read Harder selection. On a cool June evening in 2009, after performing a concert at London’s Royal Academy of Music, twenty-year-old American flautist Edwin Rist boarded a train for a suburban outpost of the British Museum of Natural History, armed with a pair of latex gloves, a miniature LED flashlight, and a diamond-blade glass cutter. Home to one of the largest ornithological collections in the world, the Tring museum was full of rare bird specimens whose coppery orange, emerald, and iridescent blue feathers were worth staggering amounts of money to the men who shared Edwin’s obsession: the Victorian art of salmon fly-tying, in which exotic feathers are fastened in intricate patterns around fishing hooks. Over the next few hours, the champion fly-tier grabbed hundreds of bird skins–some collected 150 years earlier by a contemporary of Darwin’s, Alfred Russel Wallace, who’d risked everything to gather them–and escaped into the darkness.